Indiana law passed in 1869 said that public schools should be available to all students, regardless of race; but communities were encouraged to establish separate black schools, and many did. In Bloomington, where I live, black students attended a separate school through eighth grade until 1951. In Indianapolis up to the 1920s, black students attended elementary schools located in the black neighborhood, while black and white students attended the same high schools. But as the city’s black population grew with the Great Migration, whites demanded separate schools. In 1923, the Indianapolis school board drew attendance boundaries to create separate elementary schools for black and white students. In 1924, the board agreed to build a separate high school for African-Americans. Crispus Attucks High School opened in 1927. Other Indiana cities with large black populations also established racially segregated high schools, including Lincoln in Evansville and Roosevelt in Gary. Thornbrough writes that, contrary to myth, it wasn’t a “Klan school board” that decided to build Attucks. The decision had already been made when board members backed by the Klan took office in 1926. A Klan-backed Indianapolis city council did adopt a racist zoning law to prevent blacks from moving into white neighborhoods. A judge struck down the law; but red-lining, restrictive deed covenants, decisions on where to build public housing and “white flight” kept neighborhoods segregated for decades. In 1949, the year I was born, the Indiana legislature voted to prohibit racial segregation of public schools. The state scrapped Jim Crow schools – on paper, anyway – five years ahead of the Supreme Court’s Brown v. Board of Education decision. 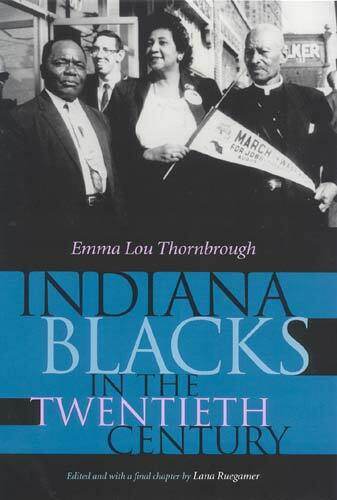 This entry was posted in Uncategorized and tagged Blacks in Indiana, Emma Lou Thornbrough, Indiana history, Ku Klux Klan, segregation by stevehinnefeld. Bookmark the permalink.